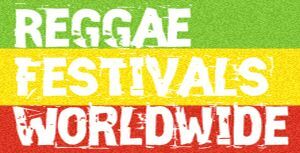 The 12th Annual Northwest World Reggae Festival. 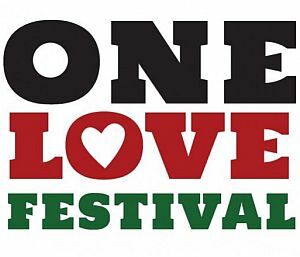 Three Days of World Reggae Music, family fun, organic food and more than 50 world craft booths. The 2016 Northwest World Reggae Festival (‘NWWRF’) will be held at our new site in Scio, Oregon. Family friendly and sustainable, NWWRF welcomes conscious musical artists from around the world performing ROOTS, ROCK, REGGAE! Experience the jubilation and positive energy of this growing community! The livity doesn’t stop with the music. Forget about the world outside while participating in diverse activities such as African dance classes, musical performances for and by the youth, visual arts displays, live painting and a growing community of the sustainable spirit. Learn about local non-profit organizations, fair trade and sustainable businesses and then refuel with a variety of delicious organic foods while you explore the fair trade crafts from more than 30 vendors from all around the World. NWWRF is a family friendly festival. Youth 14 and under are admitted free. Youth Zone, provides a safe environment with a shady arts and crafts area. Pato Banton back for a great 2 hour set (4 — 6 pm) closing our festival on Sunday July 24th. A Pato Banton concert is an event not to be missed and an experience not to be forgotten. Positive Vibrations abound with a beat to keep you on your dancing feet, while Pato delivers a message that is food for the mind and soul. Many have considered his charismatic performance as live theater where no show is alike and audience members become participants in the experience. Sunday will also feature Soulmedic and Ras Gabriel backed by the 4Word Band, De Solutions, Overstand and opening the day with our great friend Newel Briggs (his 12th year with us) with songs for the young and young at heart!! Drum workshops, great organic food, crafts and more! !